Telematics built by contractors, for contractors. Geofences keeps machines on-site and prevent theft. Predictive maintenance means less equipment downtime. Driver scorecards alert you to dangerous driving habits. FMCSA-self certified Contractor E-logs for easy ELD compliance. We’ve made the basics even better. 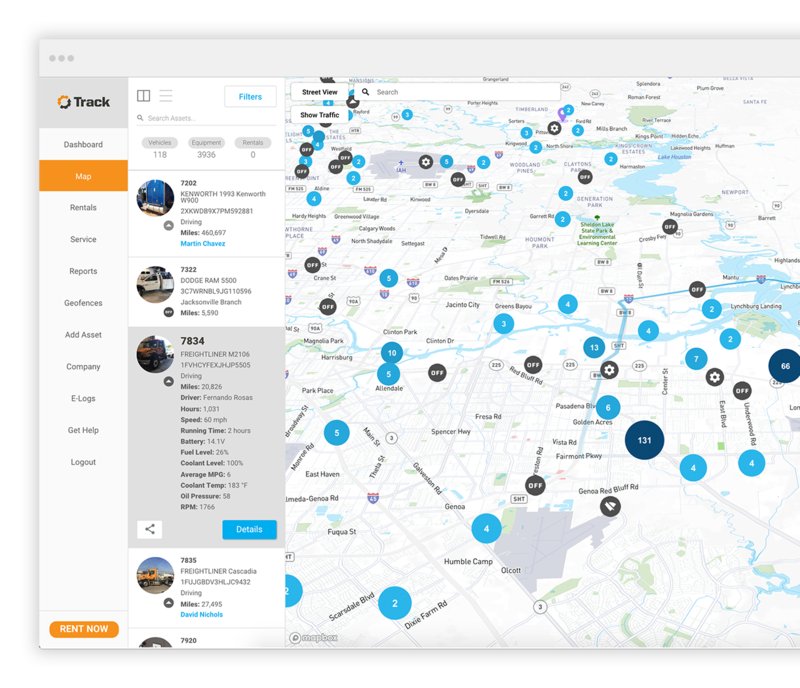 You get real-time GPS equipment tracking, easy preventative maintenance scheduling and a single-dashboard view of your fleet data. Track Telematics pulls engine data from all of your Track-equipped machines—and you can access that data from any browser, anytime. Fleet performance shouldn’t be a guessing game. Stop wondering and start doing with EquipmentShare Track.